David has received more awards for teaching! For the fourth time in a row, he has been voted to be the best teacher of the department BioMechanical Engineering; and for the second time in a row he has been selected as the Best Teacher of the Faculty of Mechanical, Maritime and Materials Engineering! The award comes with a 1000 euro’s cheque. As a representative of his Faculty, David will compete against the best teachers of TU Delfts other faculties for the title of Best Teacher of TU Delft. This will be a tough competition: one of the competitors is his long-time colleague Max Mulder! 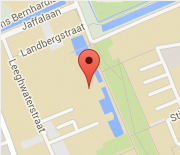 So please attend the “Best of TU Delft” meeting on November 13th 2014, at the Aula (ceremony starts at 15:30).